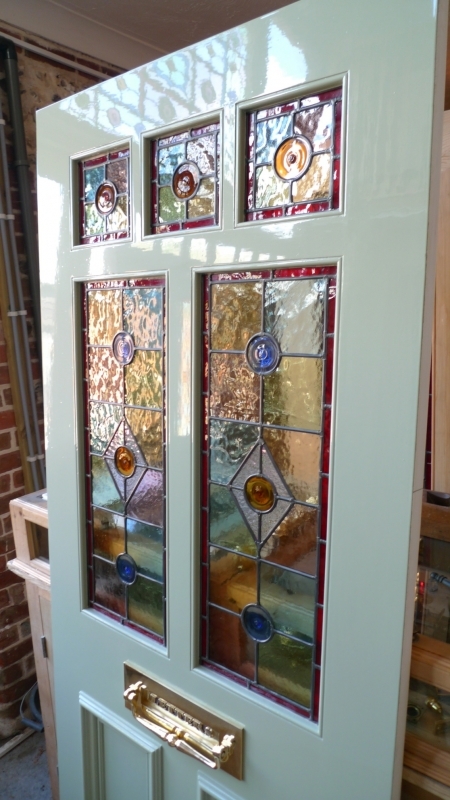 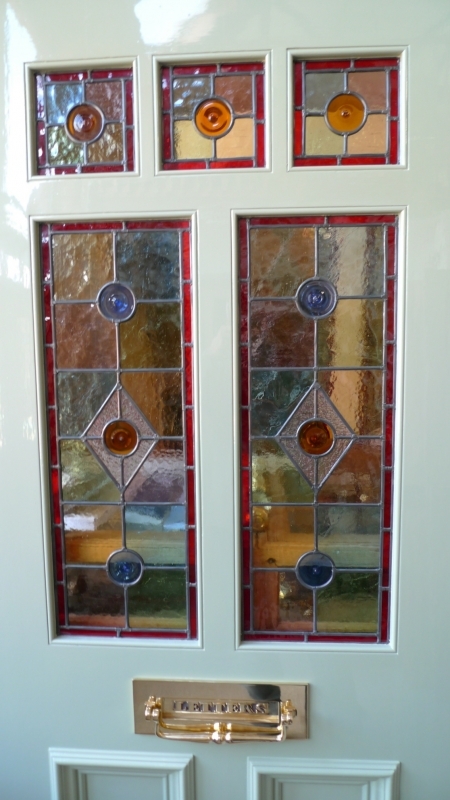 An excellent and truly georgous Stained Glass Front Door. 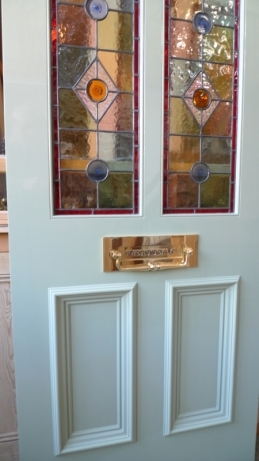 This door has been painted using Farrow & Ball Lichen green gloss. 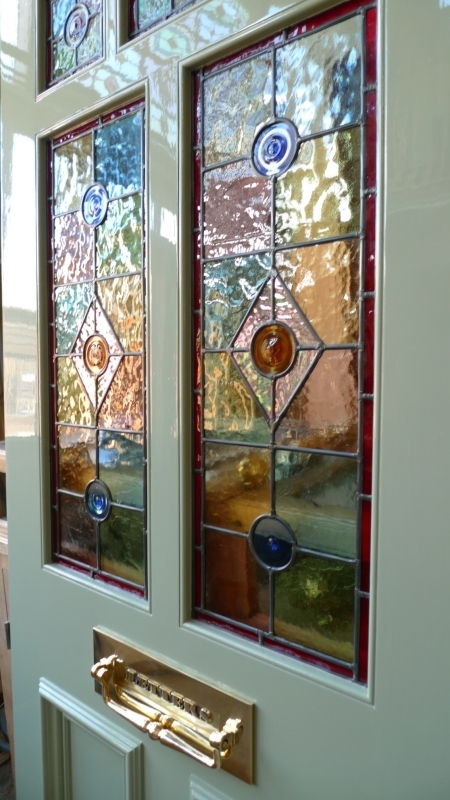 The stained glass panels are made from handfloated glass . 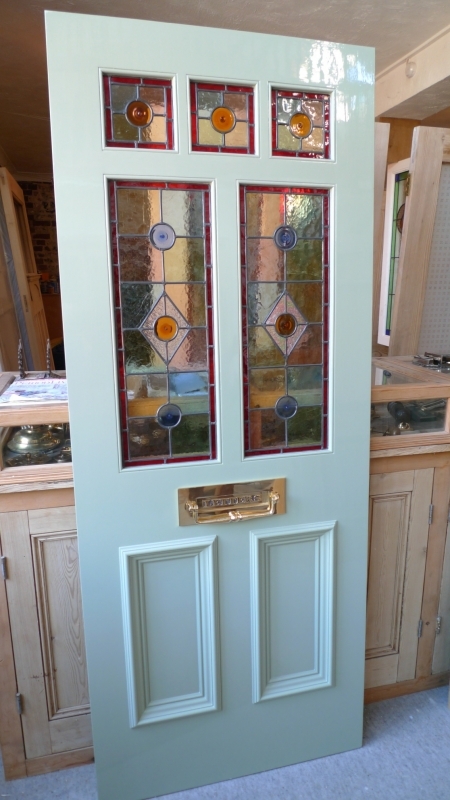 incorporating hand spun rondels and background colours of pastel pinks , blues greens and ambers.